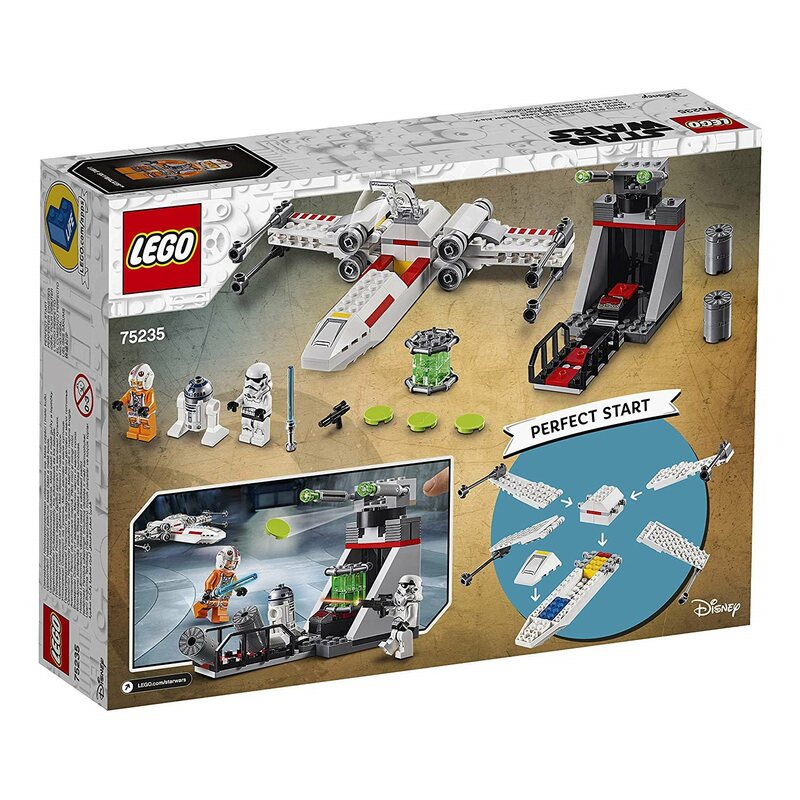 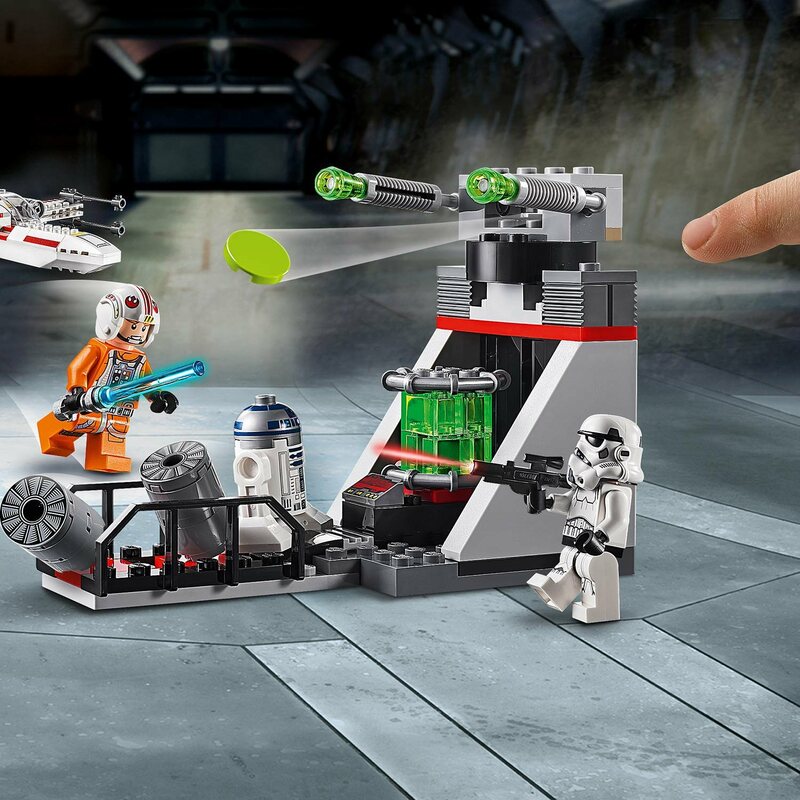 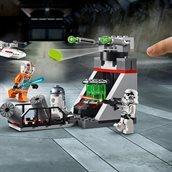 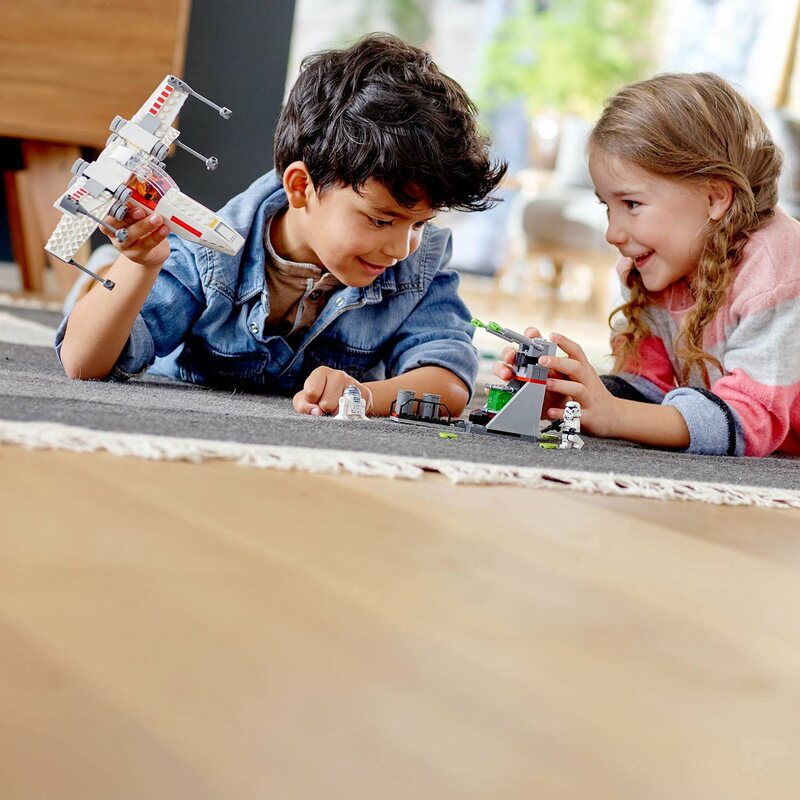 Lego Duplo Bricks & Co.
Includes 2 Lego Star Wars minifigures:Luke Skywalker in his X-wing pilot suit and a Stormtrooper, plus an R2-D2 Lego figure. 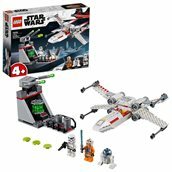 X-wing, as seen in the blockbuster Star Wars:A New Hope movie, features opening wings and a cockpit to sit Luke in, plus a Starter Brick base to quickly get your child building and playing in an exciting Lego Star Wars galaxy far, far away. 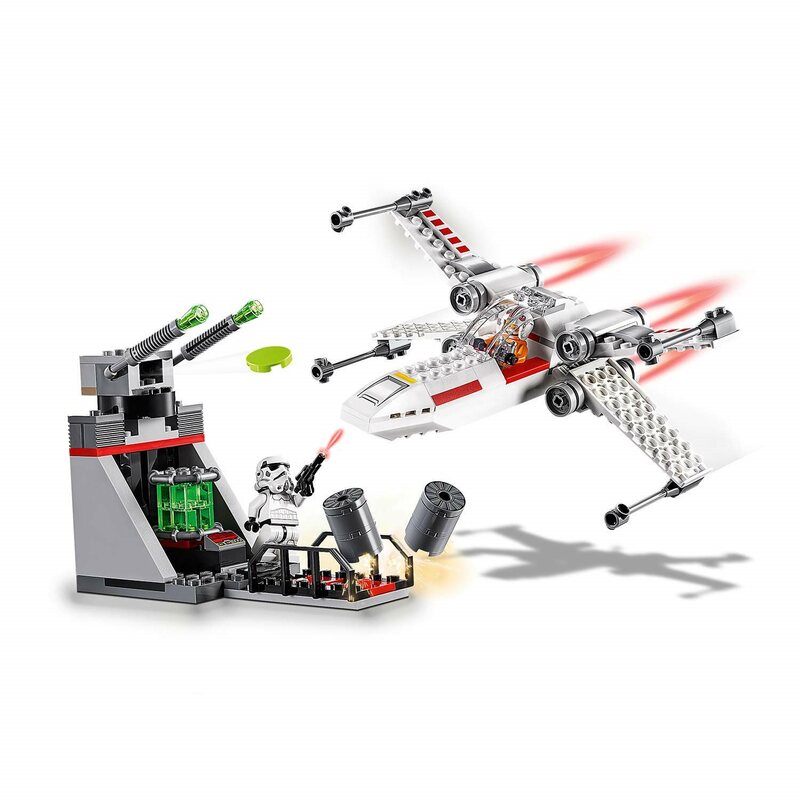 Weapons include Luke’s Lightsaber and the Stormtrooper’s blaster. 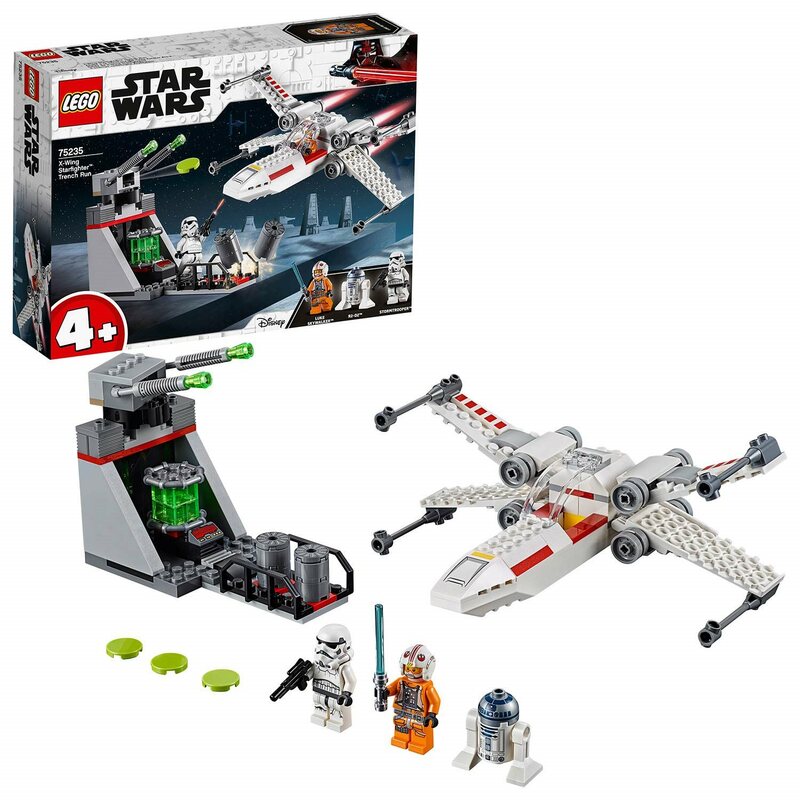 X-wing Lego Star Wars construction toy measures over 3” (9cm) high, 5” (15cm) long and 7” (18cm) wide.